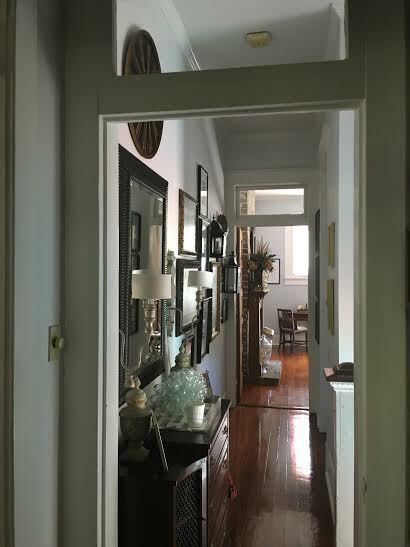 When I awoke this morning, the light in the upstairs hallway inspired me to share the hallway with you. 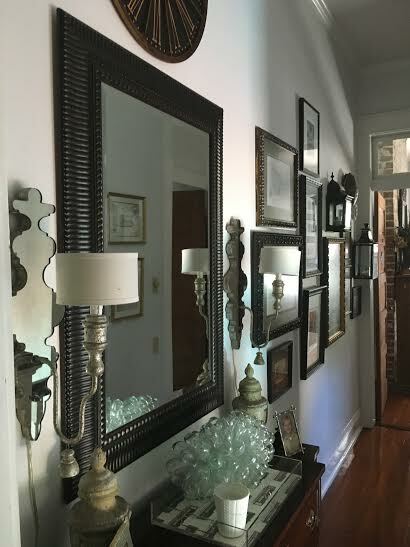 The hallway features a gallery wall of original art from our travels, a mirror, Aiden Gray sconces, and an antique chest filled with my collection of candles. I love the glass transoms above each door. The hallway connects the three bedrooms upstairs. I really need to spend time this summer working on yet another home tour since things are always evolving. Your hallway is beautiful, Ron. I think it's hard to have plenty of light and interest in that space but you've achieved it. Gorgeous! 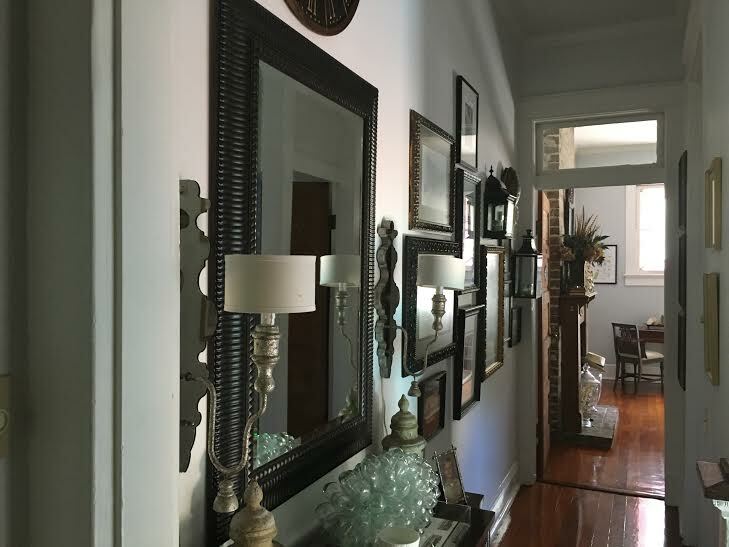 Such a pretty hallway! I love your pretty hardwood floors and the way you've styled that space. What a beautiful hallway. I love old homes and yours is just a beauty. Great inspiration! 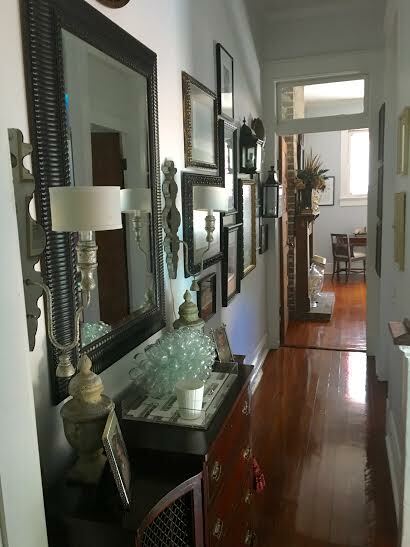 I have a hallway I need to work on, but have been lazy about making something happen. You have such a pretty hallway, Ron! The gallery wall adds so much interest! Love the character of the glass transoms! Love your attention to the details in your home! Ooh I love this! I've never seen this part of your home before. You did a wonderful job on the gallery wall. Love the transoms- keeps a nice flow of light throughout!